Washed cell suspensions of the anaerobic hyperthermophilic archaea Thermococcus pacificus and Thermoproteus uzoniensis and the anaerobic thermophilic gram-positive bacteria Thermoterrabacterium ferrireducens and Tepidibacter thalassicus reduced technetium [99Tc(VII)], supplied as soluble pertechnetate with molecular hydrogen as an electron donor, forming highly insoluble Tc(IV)-containing grayish-black precipitate. Apart from molecular hydrogen, T. ferrireducens reduced Tc(VII) with lactate, glycerol, and yeast extract as electron donors, and T. thalassicus reduced it with peptone. Scanning electron microscopy and X-ray microanalysis of cell suspensions of T. ferrireducens showed the presence of Tc-containing particles attached to the surfaces of non-lysed cells. 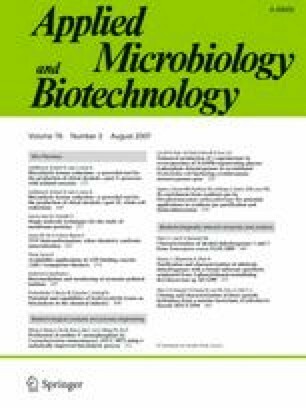 This is the first report on the reduction in Tc(VII) by thermophilic microorganisms of the domain Bacteria and by archaea of the phylum Euryarchaeota. This work was supported by CNRS (Programme International de Coopération Scientifique no. 2730 and grant 04-03-22000-CNRS from the Russian Foundation for Basic Research), by University of Bordeaux I, CRDF grant RB-2-2379-MO-02C, and by the Program ‘Molecular and Cell Biology’ of the Russian Academy of Sciences. Studies in the Robb laboratory were supported by NSF Grants MCB 0238337. We thank A.V. Lebedinsky for the valuable discussions of the manuscript.